This was a worldwide contest from all territories on all the games. All votes were included to one ballot. This is useful to know when it comes to character popularity. The “overall place” is out of 791 characters that could be voted for. Any number you see in the “overall place” category is ##/791. This was just one game out of the entire series that was available to be voted on. While Nintendo recorded 1.2 million votes (actually calculated to be 1,279,158), that is across all games. For the purposes of this analysis, we will only base it on the votes that went toward the game being analyzed. 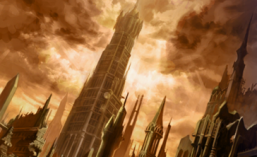 Even then, it is a limited format as there are plenty of factors that come to play. For instance, if this was purely a poll on Shadow Dragon, then votes would have been better distributed to what characters people actually favor, as it would be characters versus each other, rather than against characters from the entire series. The assumption I am running on is simply this: If the voter picked their favorite from this game against the rest of the Fire Emblem games’ casts, then surely they would pick these characters if they were only up against other characters from their own game. However, the issue with this assumption is that it ignores the 13 votes each member had, who may have distributed it across other characters from other games rather than multiple favorites they may have had in one single game. (For example: A voter votes Marth and Tiki, and though they would have cast a vote to Ogma if it was just Shadow Dragon, they instead cast their votes for Hector in Blazing Blade, thus skewing the results Ogma would have had in this game alone had it been isolated) Please be aware of these limitations when seeing the data. Some characters were split if they appeared in multiple games (i.e. Marth in FE11 and 12 are two different votes. This is a point worth noting, as we will see. Male characters and female characters were polled from the same limited set of 13. This means if someone voted for a favorite male character one day, they did not get to vote a female character the same day. This is worth noting because male/female characters are not in competition with each other. So, their voter base could only vote for a character in one gender or the other, meaning there may have been more votes for female characters overall than male, even if the voter had a male they would have preferred too. There is potential to skew the results here, as would have been solved with two polls (one for each gender). For the purposes of game-by-game analysis, the gender split does not matter too much as it is purely to gauge potential popularity. However, when we address the overall gender vote later on, this will be more important –much like how it was when analyzing the top 20. Each individual was able to vote multiple times. One person could vote 13 times over the event period (and this assumes from one device)! As such, do not treat the total amount of votes as total amount of people who voted. Those are two very different things! Nintendo had released midterm results on current poll standings. I consider this an important aspect in determining the final outcome to overall popularity, as I will address if relevant to the game. A total of just 8572 votes were cast across all the characters of this game. That is just 0.67% of the overall vote. Gaiden scored the lowest for overall votes given to a game. For perspective, this means that each individual character who placed 34 or higher on the overall ranking had more individual votes than this entire game. Of that number, Celica (who scored top) has 2374 votes, or 27% of total votes for this game. She is the highest scoring female character of the game. Alm is in 2nd, with 1907 He is the highest scoring male character of the game. No characters made it to the top 100, and only the top two made it to the top 300. The rest of the characters lay below the 400 mark, out of 791. The top two characters on this list already have 4281 votes combined (49%); meaning characters 3-35 had only 51% of the votes despite making up 91% percent of the cast. Grieth is the lowest ranked male character in last at 35th place (748/791 overall) and the lowest scoring female character is Tatiana in 30th (711/791). Gaiden is often seen as the black sheep of the series, much like Adventure of Link is to the Zelda series. Both are the second installment that tried to go a direction that they ultimately went back to the first on. Though some of its mechanics have come back into play since its release (such as lack of weapon durability), the game as a whole remains this way. It was never released outside of Japan. However, the upcoming Fire Emblem Echoes: Shadows of Valentia is a remake of this very game. Considering this announcement was made well before this poll, it is surprising that the interest in the game did not lead to wanting to see more of its characters. But a reader speculated that perhaps, keeping the purpose of the poll in mind (which new characters will have new appearances/outfits), voters may have avoided the game knowing that a remake was coming that would feature all these characters anyway. A fair observation and certainly a possibility that some may have voted with this mind set. Ironically, that would mean the announcement of a remake actually took away votes from this game, rather than boosting them. It is also possible that it is precisely because this game performed so poorly that they may remake, market it, and bring it as what is essentially a “brand new” game to the series to the many, many fans that have not played it. How the release of the remake effects things remains to be seen. For now, Celica and Alm (the dual protagonists) placed top, as is a common trend with top scorers being characters that are significant to their game (there are exceptions, but none that apply here). They would have had some visibility via Awakening‘s DLC maps, as well as for being featured in the Shadows of Valentia trailer (albeit with new looks. Some may not even recognize them as the same characters). The game had the least overall votes too, being the only one to have below 10,000. Even with the smaller cast, the votes were mostly skewed toward the two main characters before facing a steep drop (from 145th place to 413th) making the most significant placement drop out of every single game’s list. Surprisingly, despite all of the above, it is not the game that had the least voted characters on the overall list. Gaiden is arguably the most obscure game in the (main) series (that excludes games like BS Fire Emblem, etc). Indeed, the results above say as much. With the upcoming Shadows of Valentia that may change, though if Shadow Dragon and New Mystery of the Emblem are anything to go by, remakes do not impact standings significantly. However! Unlike FE11/12 mentioned above, Shadows of Valentia will be the first post-Awakening remake. With a larger fanbase and interest in the series, as well as a pending worldwide release not too far off, it has the chance to make quite the impact. In turn, perhaps the characters will score as high as the two Kozaki games next time a poll is done. That wraps up poor Gaiden! Tomorrow we take a look at the Jugdral games! Genealogy of the Holy War and Thracia 776. As usual, feel free to leave any comments you may have or observations of your own below! This entry was posted in Fire Emblem, Video Games, Website and tagged analysis, android, fe heroes, fe2, fire emblem heroes, gaiden, intelligent systems, ios, kantopia, mobile, nintendo, nintendo ds, poll results, popularity poll. Bookmark the permalink. It’d be interesting to see!